China’s largest e-commerce company, JD.com has announced it has expanded its partnership with TWE to become the exclusive online retailer for the Wolf Blass Red Label range. The deal will also see two wines available for the first time in the online retail space in China – the Wolf Blass Moscato and Pink Moscato. Wolf Blass’ Red Label ‘masstige’ range includes Chardonnay Pinot Noir Premium Cuvée, Semillon Sauvignon Blanc, unoaked Chardonnay, Shiraz Grenache and a Cabernet Merlot all designed for “easy drinking for entertainment occasions”. JD.com already has eight of TWE’s brands – including the extremely popular Penfolds – encompassing more than 50 wines, making JD.com one of TWE’s largest e-commerce partners in China. “Our partnership with JD.com has enabled us to continue to grow brand awareness and consumer demand for our wines in China, and we are very excited to further expand this partnership to include our popular Wolf Blass Red Label,” said Robert Foye, TWE’s president and managing director for Asia, Europe and Latin America. According to a recent study by Wine Intelligence, China has approximately 21 million buyers online, making it the world’s fastest growing e-commerce market for wine. 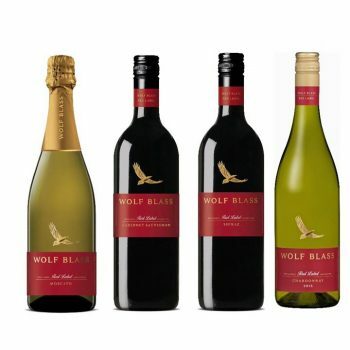 “The addition of TWE’s popular Wolf Blass Red Label brand to our offering is an exciting development that reflects our strong collaboration with them over the past year,” said Carol Fung, president of JD.com’s FMCG unit.